To learn more about 'What is Q School', please refer to Q School Event One - Passports to the Big Time. With the withdrawal of several players, including Luca Brecel, Yu Delu, Sam Baird, James Wattana. Their opponents got a walkover to the next round. Chinese players who joined did quite well in the first round. Zhang Anda won 4-1 over Alex Taubman with 116; His fellow Tian Pengfei also made a century 118 in the match that he beaten Alex O'Donoghue. Mei Xiwen beats Li Yan by 4-2 while Chen Zhe defeated Ben Harrison by 4-1. However, one of the chinese army lost in the first round. Li Hang, a wildcard player reached Last 16 in China Open last month by beating two world champions Ken Doherty & Graeme Dott. 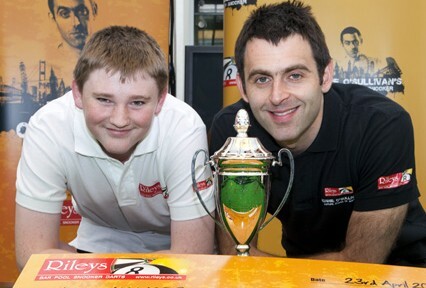 Li was beaten 3-4 by Joel Walker, the picked winner of 'Riley's Future Stars of Snooker' by Ronnie O'Sullivan last year. Walker was 0-2 behind but he survived to win 4-3. 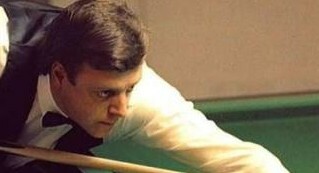 There is a first round match between two snooker leading players in 80s' & 90s - Mike Hallett v Tony Knowles. Hallett won comfortably 4-0 against Knowles despite in the last frame. In the last frame, Knowles cameback from behind to force a black respot. Hallett ends the thriller by potting the respotted black to end the match. Knowles will have an early sit back before next week. Former professional players including Lee Spick, Lee Walker, David Gray were also the winners in the first round. They aim at regaining a place in the tour.